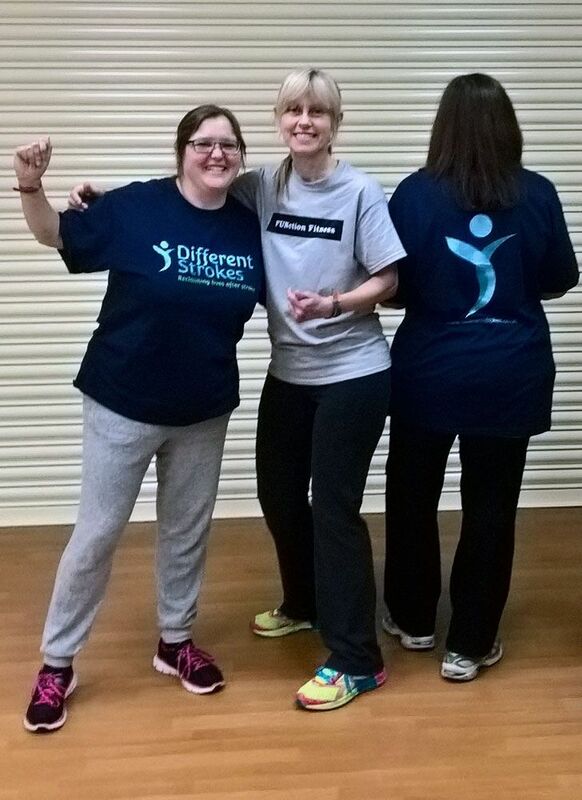 FUNction Fitness | Looking for inclusive classes? Find them here! 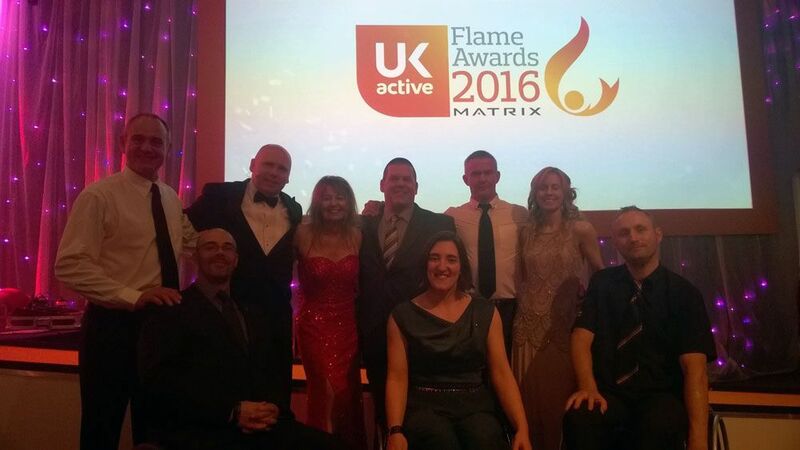 What Are Others Are Saying About FUNction Fitness.....?
" You make it suitable for the whole spectrum of people.. you make it inclusive! (to me) That's a completely new way of thinking in a gym world" C.Homer , West Midlands. 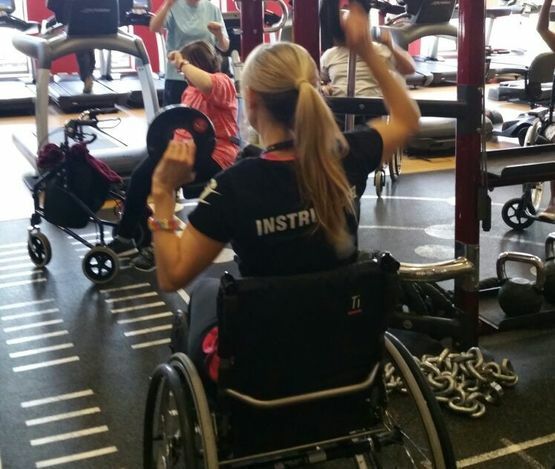 Top Fitness Magazine, FitPro , shared our feature about inclusive exercise- read it here.
" I've progressed more in the last THREE WEEKS joining FUNction Fitness class, than in the last TEN YEARS!! Wish i'd done it sooner! " H. Patel, West Midlands. 1 in 5 of us are reported to have some form of disability, including physical, mental and social. Group exercise can help your health and well being. Class Information Here Instructors Click here! 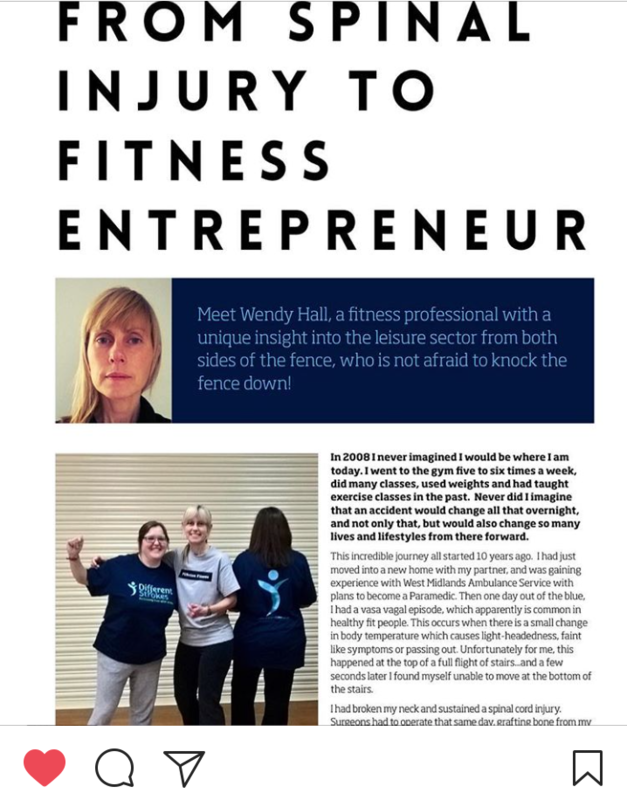 I'm Wendy Hall, and I believe exercise is for everyone. With over twenty years of teaching experience, including ten years with personal disability after a fall and have spinal injury myself. 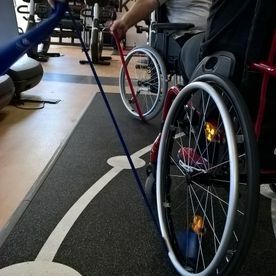 Never had i imagined it could be so difficult to find suitable exercise classes having a disability! Not just that, so many obstacles to join in like registering and waiting lists. Classes should help anyone to improve fitness, confidence, health and wellbeing. 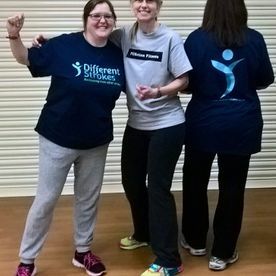 I realised I could help others in developing a truly inclusive fitness class. So if you use a wheelchair, walking aids or need support staff - It's no problem! Whatever the case, our workouts cover strength, balance, cardio and co-ordination, creating a total wellbeing session with you in mind. Working Together Is Important to Build Better Inclusive Knowledge and Understanding. Build yours with our CPD. 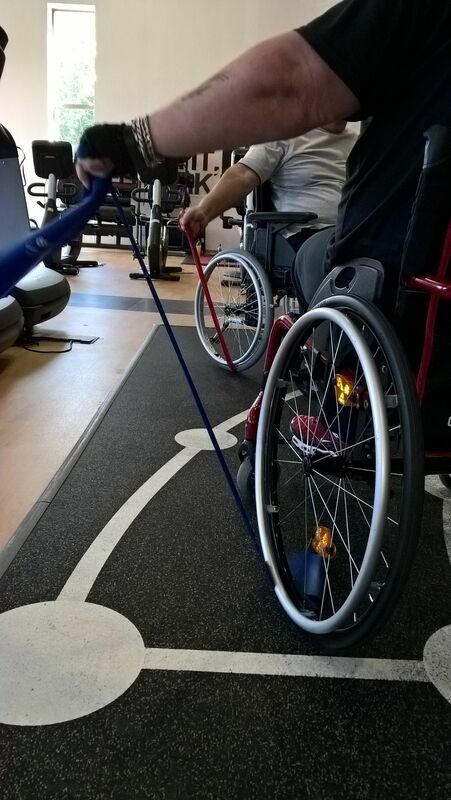 Lets Change Perceptions about Disability and Exercise! Find ideas, Insights and Skills to Help You Work With More Abilities Confidently. 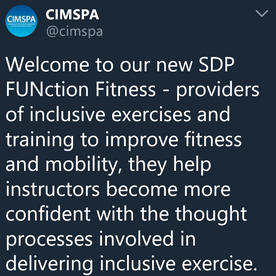 FUNction Fitness is a unique CPD , delivered by a fitness instructor with disability. Click here for what's included in your CPD training. Do you have inclusive group or simply want to be more confident with others? This CPD will share insights and information you can use again and again. 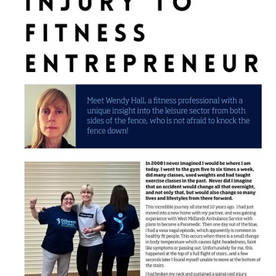 Read this feature in 2018 Gym Owner Monthly magazine about us. See T's and C's Here. Who can join in? Anyone is welcome, see some of us below!. 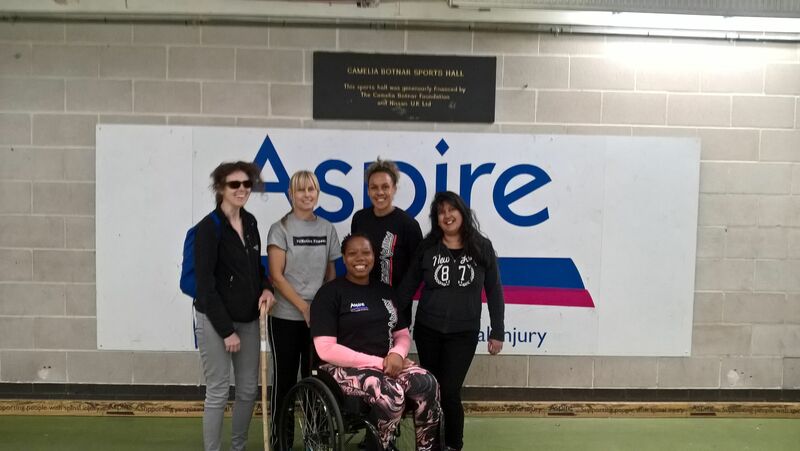 Current participants include: amputees, lupus, MS, CF, mental health, stroke, muscular dystrophy, dyslexia, CP, visual impairments, arthritis, older age groups, hydrocephalus, amongst regular gym users, spinal cord injury, wheelchair users , support staff & mobility aid users. Everyone is welcome! Follow us on FaceBook here. 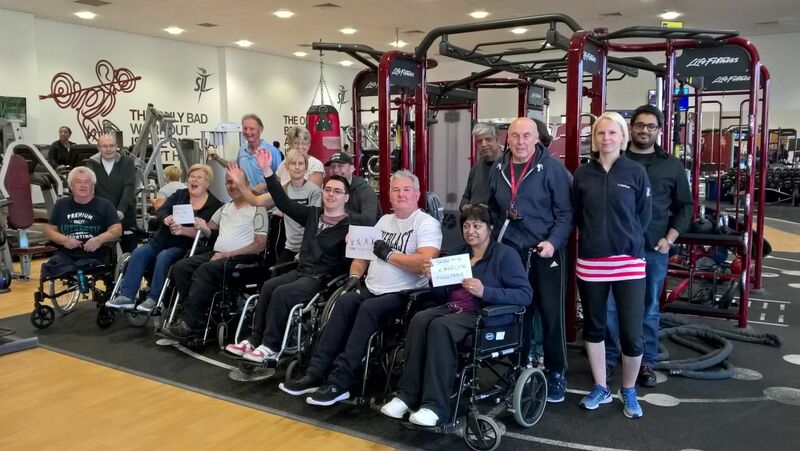 Supporting inclusive fitness and training for health and fitness professionals. Have You Seen What's New 2019 ? Sharing movement and exercise from us to you with YouTube videos, InstructAbility and top industry magazine FitPro. 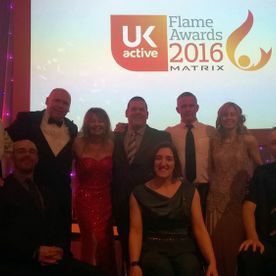 Great examples from FUNction Fitness - sign up and catch up today! What's Different About FUNction Fitness? After an accident breaking my neck, I was so shocked how difficult exercise was to find and join in. It didn't always feel comfortable with a walking stick or a wheelchair. You might have found this too? Like many of you, physio, paralysis, pain, spasticity, reduced function and fatigue are part of every day. This might be you, or someone you know? I found many other gym users wanted to exercise together but classes were just intimidating. 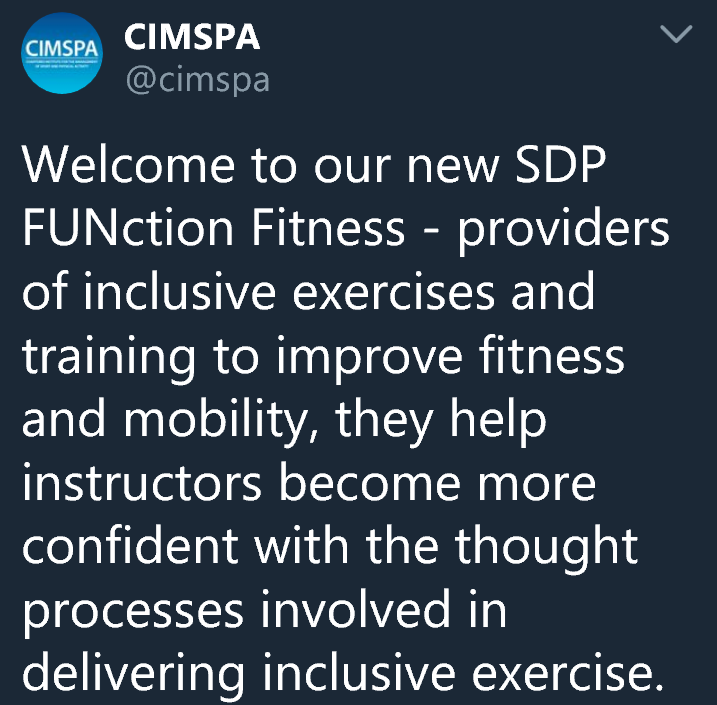 So I developed FUNction Fitness as a class for all abilities to join exercise. Read here how it all began. A truly inclusive class is for everyone to join in, wouldn't you agree? Read here how exercise has helped with recovery and wellbeing. "Blog released for #internationalwomensday from Activity Alliance"
This year’s campaign theme is #BalanceForBetter. 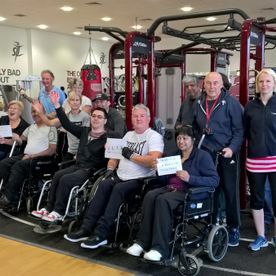 We are marking this international day by celebrating inclusion in sport with a blog from founder of FUNction Fitness, Wendy Hall. 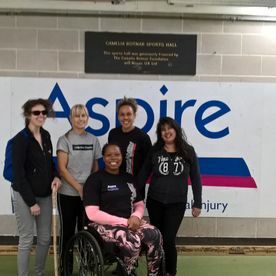 "Woman paralysed from the neck down becomes a fitness instructor"
"YMCAfit graduate leads the way with accessible fitness class"
"InstructAbility helped me learn to be me again"
Instructors? 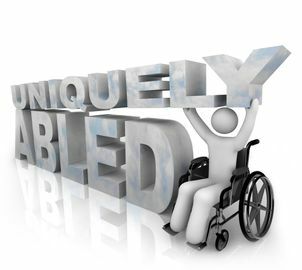 - Build Your Disability Confidence! Register Here For Your CPD With 4 CIMSPA Credits. Find tools and support to add exercises and involve more customers. See What's Included Here. In this Four hour live CPD which includes practical workshops to build understanding and confidence of the need for exercise with mixed abilities. You'll join in with discussions, practical sessions, and gain valuable insights with teaching practice you can use straight away. See T's and C's. Your instructor is a CIMSPA partner and registered fitness professional. Already have a group you work with? FUNction Fitness gives you monthly updated exercises. Building a new class? Even better!...Engage new members and offer more exercise variety. Ask about Training coming to you , and new dates being added in West Midlands. What Participants Say About Function Fitness. “Fantastic motivating classes that enable you to work at your own level with the flexibility to push yourself if you want." How will FUNction Fitness Classes Help You? Find Out More Here.